Leaders in politics, medicine, community, education, and literature, the Browns were a prominent, early Kentucky family. 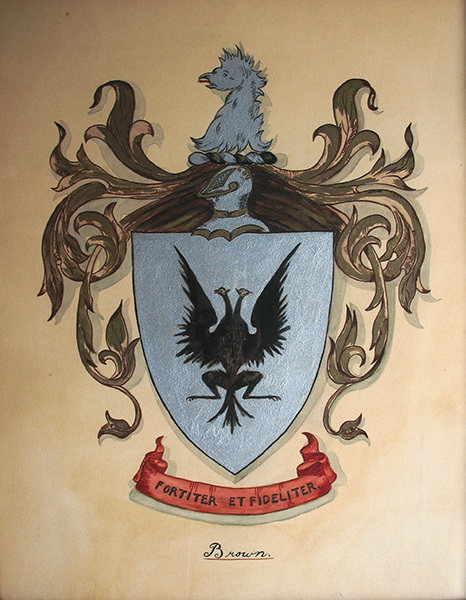 Many of the seven adult children of Reverend John Brown and Margaret Preston were successful in their careers or married into influential families. Two of Senator John Brown’s brothers, Preston and Samuel, became doctors. Another brother, James Brown, like John, was a US Senator (Louisiana), as well as a United States Minister to France. Senator Brown's sister Elizabeth married Reverend Thomas Craighead and his sister Mary married Dr. Alexander Humphreys. Several family members became writers including beloved children’s author Margaret Wise Brown. She is best known for writing Goodnight Moon (1942) and The Runaway Bunny (1947). Orlando Brown was the editor of the Frankfort Commonwealth and John Mason Brown III was a drama critic. He worked for the New York Evening Post and wrote the column “Seeing Things” for The Saturday Review. 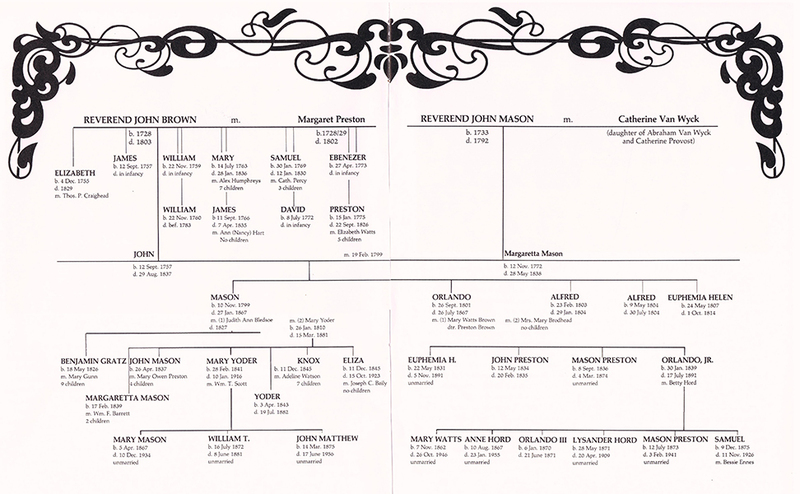 A family tree of the Browns of Liberty Hall featuring 10 generations of antecedents and descendents of Senator John Brown is available online at MyHeritage.Com.